For all of the moms who(oo) are waiting patiently, we help you prepare most expectantly. Prenatal Yoga can be a great tool to get you through your pregnancy journey, labor & delivery. As well as, help your body, mind & spirit recover after the birth of your baby/s. 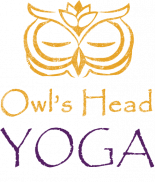 Owl’s Head Yoga provides classes (individualized or within a group) that focus on where you are in your body and pregnancy journey. We practice bonding with your baby from the inside, breathing, strengthening and relaxing muscles needed for labor and delivery, all within a Vinyasa style Yoga stretch sequence. Especially within group class settings, we encourage community: “If you want to go fast, go alone. If you want to go far, go together”. -African Proverb. The approach is intended to cultivate lasting friendships so the mother can feel supported in her motherhood. Classes are currently held on Sundays from 1:30 pm to 3 pm, taught by Erica Ginger, please reserve.